Billed as a book for "visionaries, game changers and challengers", this introduces a useful new modelling concept: the Business Model Canvas. It is billed as a shared language for describing and visualising business models. A more down-to-earth description would be that it’s a template for describing an organisation’s key drivers, both in its current and potential future states. Cost Structure (SC) - describes the most important costs to operate the business model. 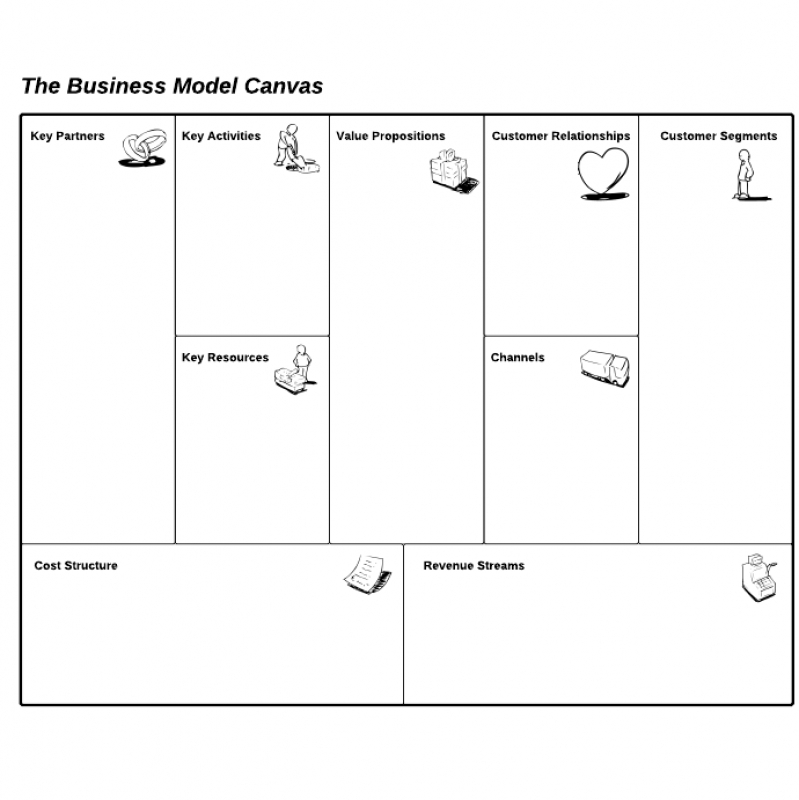 Of particular interest to me is the use of the Business Canvas as a what-if approach for customer-focused story-telling. This useful method can be considered the strategic counterpart to the use of personae and scenarios in agile approaches. The key advantage to this approach is that the key elements of the organisation’s business are displayed on one page. Printed as a poster-size template, there is plenty of whitespace to write, doodle or use sticky notes. A potential disadvantage is that the very simplicity of the approach may lead to oversights in certain areas, for example governance constraintssuch as corporate, legal or financial. The technique (and book) is recommended for those practitioners and their clients that are visually biased who need an rapid approach for innovating strategic models.